"Rosetti's illustrations are personalized affirmations of the rights of women. They congratulate the empowered, comfort the survivors, and present rebuttals to the oppressive comments that rain down upon women from the heights of the patriarchy." --Bust The message we receive from the world is clear: we're not good enough. We're not skinny enough, pretty enough, smart enough. Women is all about accepting ourselves. Carol Rossetti asks us instead to say, "We're not good enough--we're even better." Despite the progress we've made as a society, there is still a cruel and subtle gender oppression that exists today--and many don't realize it's there. In response, Rossetti decided to draw women to focus on the issues we face. 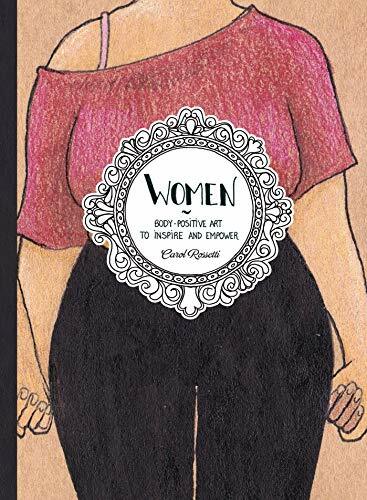 Her illustrations are of women who feel safe expressing themselves by showing the world their fashion, sexuality, relationships, religion, disabilities, and even traumatic experiences. Rossetti's commanding images belong on billboards and street corners and in schools and offices to remind us that our unique experiences and expressions should make us feel beautiful, intelligent, and proud. We have the power to embrace who we are and can stop trying so hard to please the rest of the world. Carol Rossetti and Women offer us a vision of who we can be.